What was once a chore – buying sheets and other bed linens – has become a more streamlined, pleasant experience, thanks to a couple of companies that decided to sell their products online only. Rather than having to browse walls stacked high with various brands of sheets, duvets, and other bedding, you can pick precisely what you want online, and have it shipped to your door. 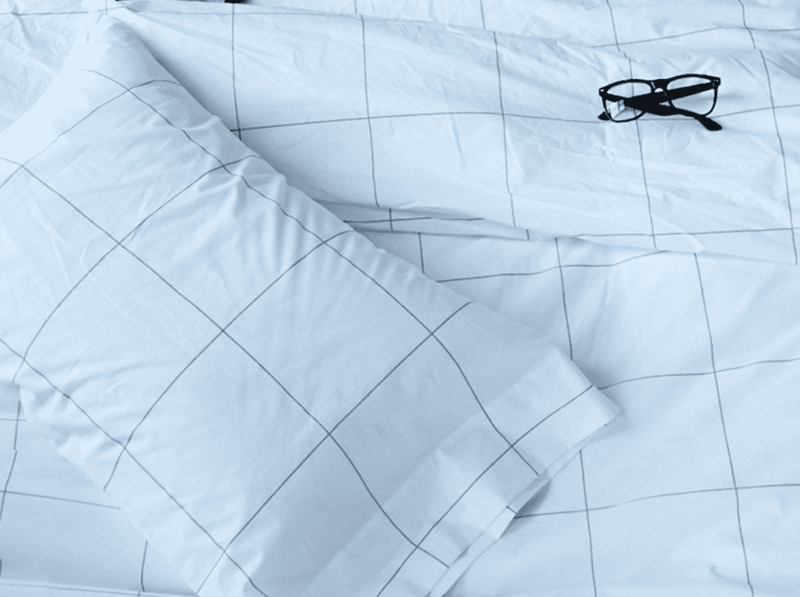 A couple of pioneers in the online bedding world are Brooklinen and Parachute. Both brands are experiencing success after launching just a few years ago, and both are catering to the generations who are opting to do most of their shopping online. So, which brand is the best? This comparison and buying guide will help you find the best sheets of your life. If you’re anything like the online bedding company startup owners, then you’ve experienced more than a little frustration with trying to figure out which sheets to buy based on thread count, weave, and material. The only difference is that those startup entrepreneurs did something about it – for themselves and for shoppers like them: you. As many other businesses headed for a dotcom to sell their wares, and some sought the investment money needed through crowdfunding, bedding was undergoing a bit of a shakeup. Egyptian cotton wasn’t all it was cracked up to be, at least for a couple of manufacturers that were marking up sheets made with a lesser quality type of cotton. If you’ve done any research about sheets, you likely already know that Egyptian cotton is a long-staple cotton that produces a durable, impossibly soft, and breathable sheet set for your bed. It also comes with a hefty price. When these manufacturers were exposed, and even hit with lawsuits by some of the stores that carried those brands, opportunity knocked for Brooklinen and Parachute, among others. Suddenly, thread count really didn’t matter, and Egyptian cotton, while luxurious, was not the only luxury material for sheets. Now consumers had more choice, more transparency in a manufacturer’s processes, and sheets could easily be ordered online. In fact, Parachute sold out all its inventory within a few months of launching. Brooklinen’s founders were tired of paying high prices for good sheets, and thus the bedding brand was born. The married couple turned to crowdfunding for investment, as well as venture capital. Thanks to the business model and the promise of comfortable sheets, the company had already sold more than $200,000 in preorders. In one year’s time, the business was already turning a profit. Clearly, there was a demand for high-quality sheets that weren’t priced out of a typical budget. Others followed, and soon thereafter, there were several options for buying sheets, but with better branding, and that is more in touch with its customers. 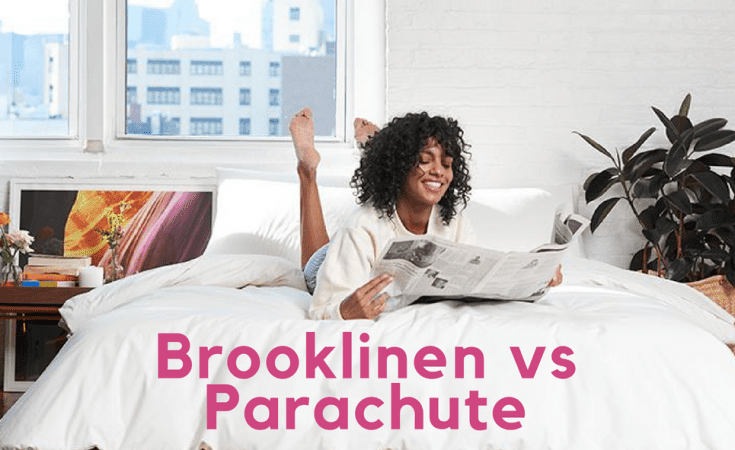 Pitting Brooklinen against Parachute is a tough battle. There is a winner, but it may not be clear until you decide for yourself which brand speaks to you and your needs. 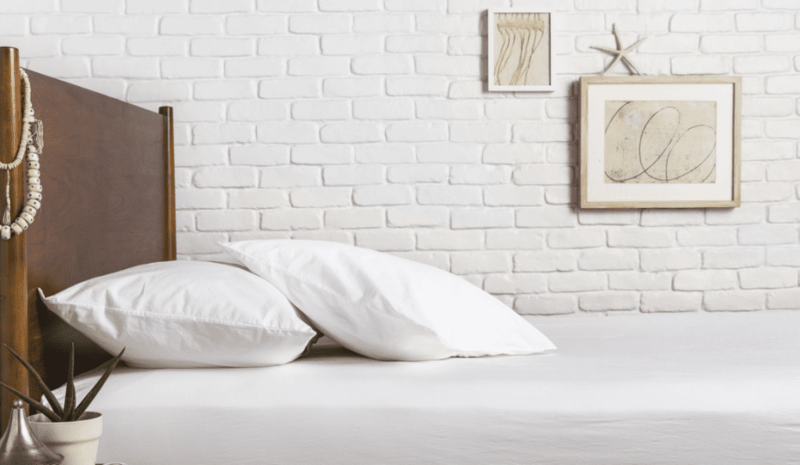 With a name like Brooklinen, you’ll find products you expect: sheets, comforters, blankets, and pillows. The company expanded its selection to include towels and candles, as well. The most common bedding products sold by Brooklinen are its sheets, and that’s what we’ll focus on here. We’ll also give an overview of the company’s other offerings, though. Rather than only selling one type of sheet, or all the different kinds, Brooklinen limits its supply to four collections. Limiting selection can help immensely when you’re shopping, as there’s nothing to get confused about. Also, the colors and patterns available are marketed toward both women and men, so you’re more likely to see pinstripes and dots, rather than baby pink or nursery yellow. The classic collection has sheets that feel like the sheets your grandmother may have used during your summer visits. They’re cool and crisp, and they seem to stay that way no matter how warm it gets at night. These are classic percale sheets that seem to be so hard to find these days. As you might expect, the Luxe collection offers a softer sheet. The sateen weave produces a smooth surface that’s soft to the touch, and it tends to keep you warm on cool nights. This is also a heavier sheet, which means it’s a bit thicker, too. 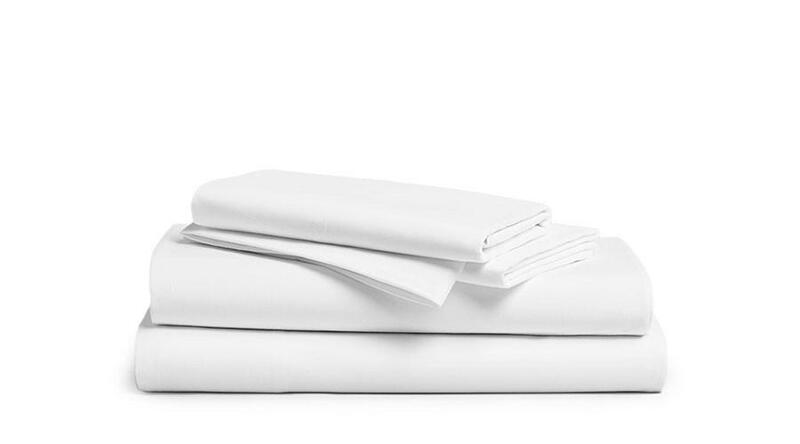 And because this sheet uses long-staple cotton, it’s a durable set that should last years. It’s rare to find a sheet company that offers a twill version of its sheets, but Brooklinen has recently added this to its line. The limited-edition twill collection may not always be around, but for now, you can get these soft, fuzzy sheets that are made with unique diagonal weave. It still features long-staple cotton, but its weave makes these sheets cozy, like a flannel shirt – but they’re still breathable. One of the features of linen sheets you must keep in mind is that they have a lived-in feeling and a lived-in look. The wrinkles are part of the charm of linen sheets, or you’ll have to take a warm iron to them, anyway. These are soft, but light, and they’re fantastic for hot summer nights, as linen is excellent at wicking away moisture to keep you cool. Sheets are Brooklinen’s bread-and-butter product, but the brand also carries duvet covers (to correspond with its sheet collections) and comforters. These big, fluffy accouterments for your bed are made with the same quality in mind as the Brooklinen sheets. There are fewer choices, but how many options do you need for a comforter? Brooklinen’s down comforter comes in two weights: all-season and lightweight. Although the all-season is meant for using in warm or cool weather, it still may be a bit too much for those who live in warmer climates. The lightweight comforter might be a better choice if you don’t like things too warm. The Baffle Box construction is meant to keep the 600 or 700 loft/fill in place. Both comforters are made to be incredibly soft, plush, and comfortable. 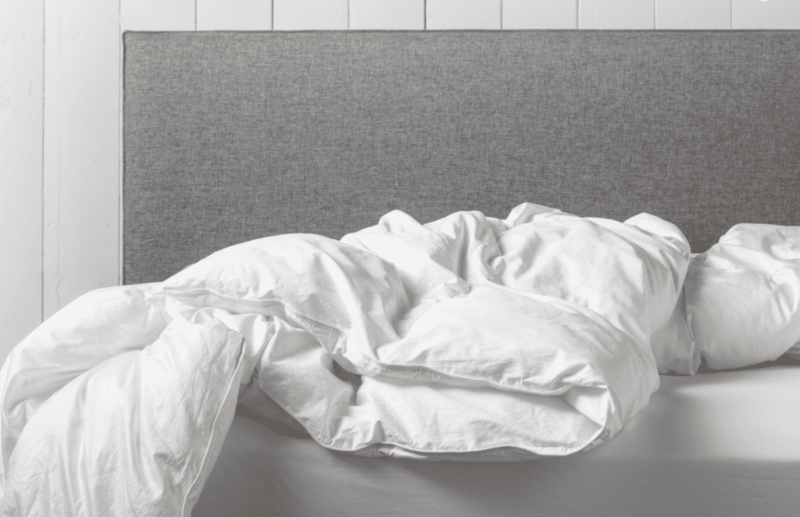 Not everyone can enjoy the luxury of a down comforter because of allergies, and so Brooklinen also offers this down alternative that’s stuffed with a microfiber fill. You still get the supreme softness on the outside with the 400-thread count. Plus, you have your choice of all-season or lightweight, so you can choose the 53 oz. fill comforter for extra warmth or pick the 39 oz. fill. Both are breathable, but still cozy. 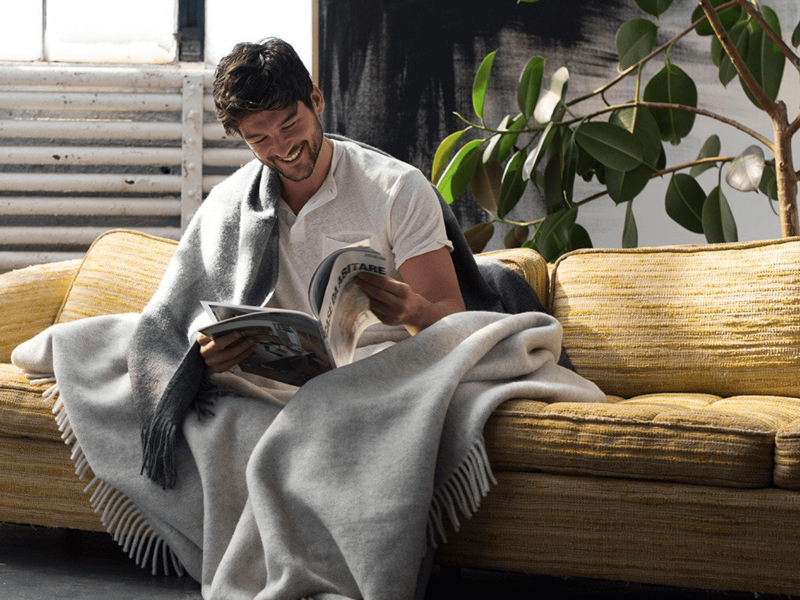 Brooklinen covered its bases when it came to bedding by including some throw blankets. They’re great to use on a bed or thrown over a couch or chair for you to grab on a particularly chilly day or night. 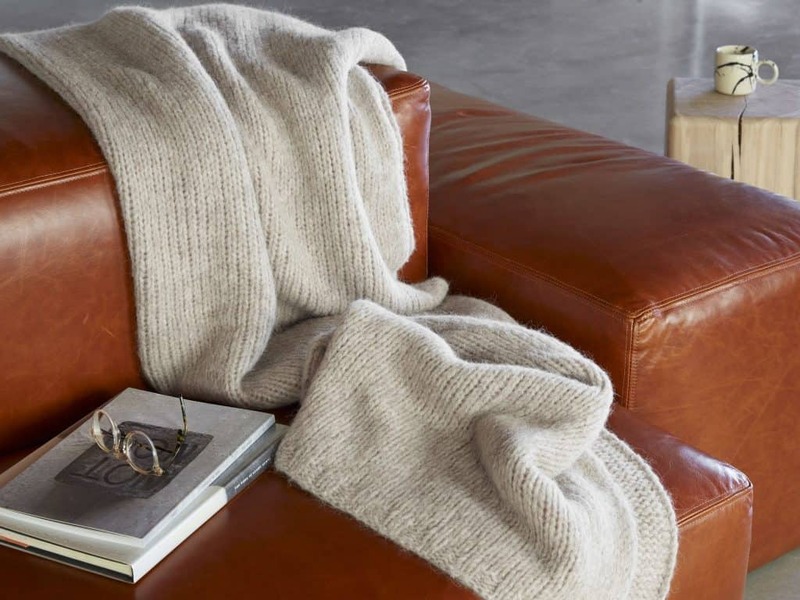 The fabrics Brooklinen uses for its throws are wool, lambswool, or baby alpaca. As for blends, the company offers a cashmere and lambswool throw that is ridiculously soft and warm. 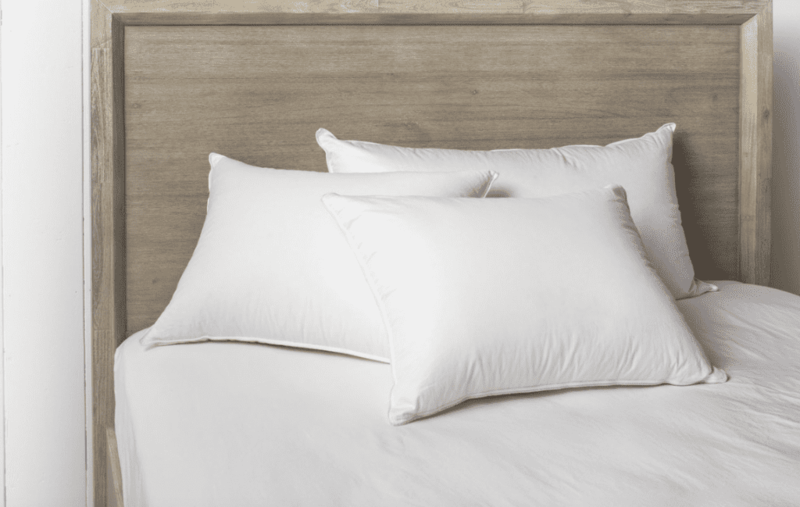 Just as the company offers a down and down alternative comforter, Brooklinen also sells a down and down alternative pillow. You get your choice of plush, mid-plush, and firm for each one. They’re all made with 400-thread count, which makes them incredibly soft. The guarantee for these pillows is shorter at just 60 days. Recently, Brooklinen started offering a line of towels that might remind you a bit of Turkish bath towels. The oversized towels are smooth and soft on one side, and nubby terry on the other. They’re made mostly of cotton (95%) with a touch of polyester to help prolong the color. The three different colors include navy, red, and charcoal stripes. Plus, the ends include fringe for a bit of fun. The Hammam towels are backed by a lifetime warranty, by the way. 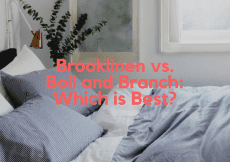 On one hand, it makes sense that Brooklinen would dive into the candle market, as many people use candles in the bedroom and bathroom, but it also seems a bit outside the company’s expertise. You can choose from four different scents that are named for what they’re mean to inspire, in a way. 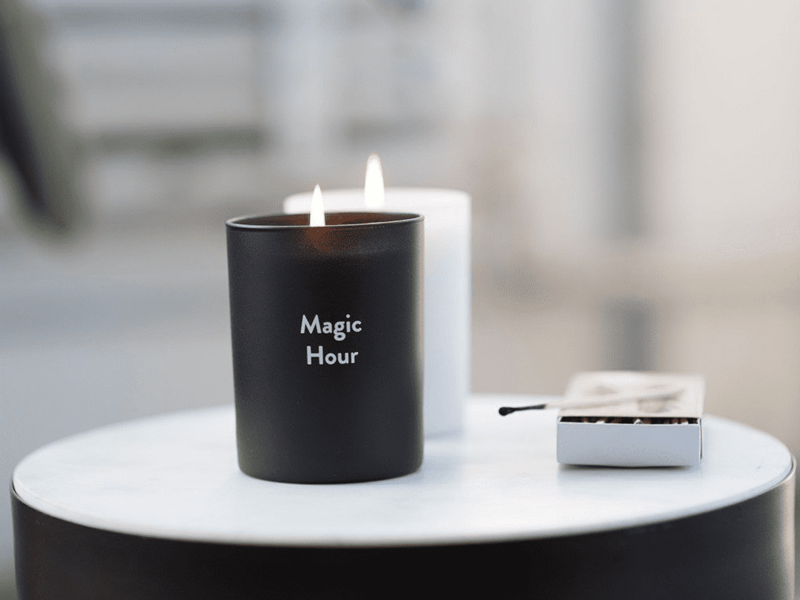 Wake is a fresh scent of the sea; Dusk is a woody scent, like that of a log cabin; Magic Hour is a bright, floral smell, like a rose garden at noon; Nightcap offers the sweet and spicy smell of bourbon and blood orange. All the candles are made of soy and mineral wax, and each one should last 50 to 60 hours. For a company that started its life in 2014 with sheets only, Parachute certainly has expanded. 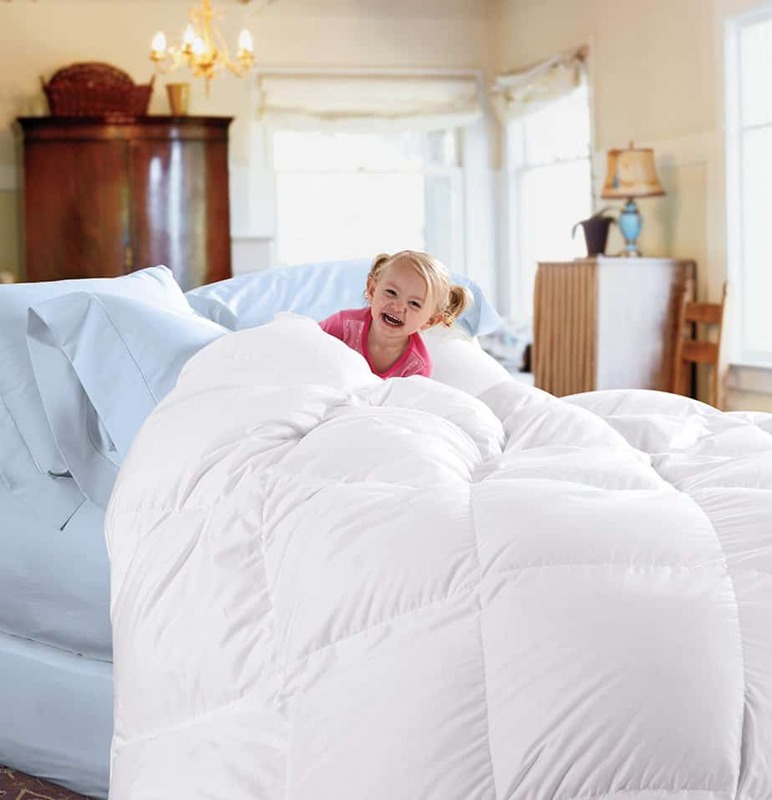 Currently, Parachute offers a variety of bedding options, such as sheets, duvets and covers, quilts, pillows, mattress pads and toppers, and bedding sets. The company also offers bath products, such as towels, rugs, shower curtains, and even slippers. You can also find décor for other parts of your house with the same Parachute quality and branding. Once again, we’ll focus on the bedding Parachute offers, and an overview of the other bits and pieces the company dabbles in. 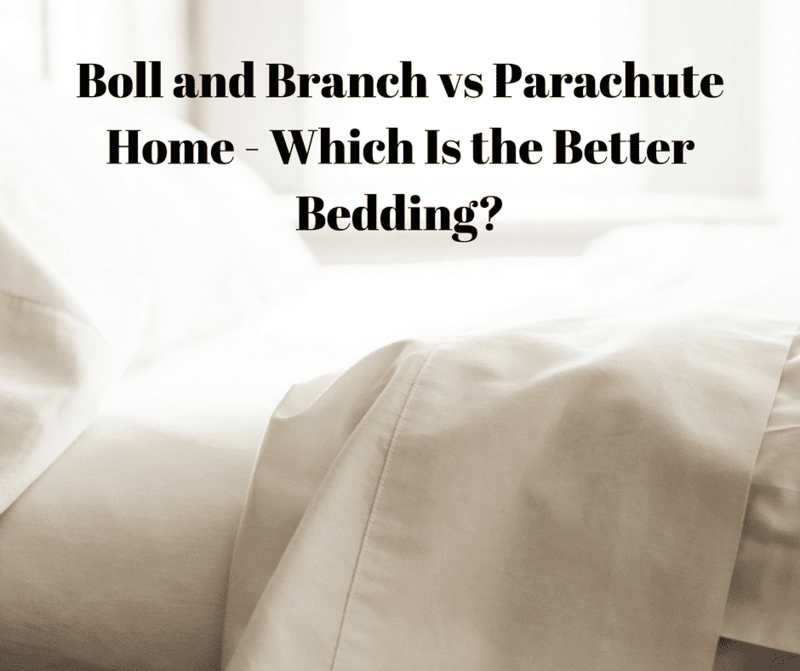 The difference between Parachute sheets and others, beyond the high quality, is that you have more options, but fewer choices. You can buy three different types of sheets from the company, but you can choose to buy a set, or buy the pieces separately. One thing to note is that Parachute’s sets do not include a top sheet, so you’ll still have to buy that piece separately, if you prefer to have a top sheet. Parachute set out to replicate that set of sheets that your grandmother likely line-dried in the summer sun before making your bed for your summer visits. It’s a lightweight set with a crisp, cool feel that is intended to keep you from overheating on hot nights. Give it some time and a few washes, and the fabric should soften. You have to give Parachute sheets time to soften. In a way, they age gracefully. If you’re at all familiar with Egyptian cotton, you’ll know that they tend to soften the more you wash them and use them. Given time, they become sumptuously soft, without the aid of any chemicals. The slight sheen of these sheets will fade the more they’re used and washed, just for your information. You’ll have to forgive these sheets for wrinkling – they’re linen, and that’s natural. These sheets from Parachute have that lived-in look and feel. Although they’re casual, they offer a bit of luxury in how soft they are. They’re also incredibly light and breathable, making them a good choice for summer or winter. Is a bed really complete without a duvet or quilt? Not in most homes. Parachute offers a few different options when it comes to covering up when you slip into bed. From down and down alternatives to quilts and coverlets, you have options. It’s also worth noting that Parachute offers a warranty for its down and down alternative products, which is good peace of mind. Not everyone needs a thick, fluffy comforter for toasty warmth, but those who do might want to look into Parachute’s all-season duvet insert. There’s also the lightweight option, which is a bit loftier. Either option should be good for most people in most climates, but if you tend to sleep hot regardless of the weather outside, then the lightweight might be a better option. Parachute offers a few different quilts that can add warmth to your bed without adding bulk. They come in a variety of colors and prints, and all are made of linen, which gives it a lived-in look and feel. It’s a lightweight option to keep you just warm enough on cooler nights. 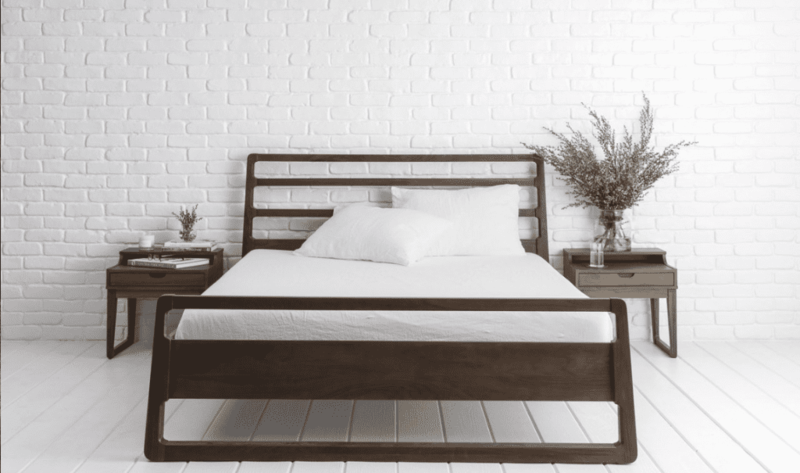 The Matelasse coverlet by Parachute is another lightweight option, but this is made of combed cotton, which is quite soft, and it’s textured on top to add a unique look to your bed. The pillows available from Parachute include down, down alternative, and a feather Euro pillow, which is a square shape, rather than rectangular. You’ll get your choice of soft, medium, or firm, and a size choice of standard or king. There’s no queen size in pillows (or pillowcases), so keep that in mind. It’s worth mentioning that the pillows from Parachute come with a three-year warranty, which is generous. If a down or down alternative duvet cover isn’t enough to feel as though you’re sleeping among clouds, you could opt for one of Parachute’s mattress pads. They’re filled almost as full as the duvets, but they fit on top of your mattress. It should be soft and fluffy enough to finally transform your bed into the cloud you desire. Like Parachute’s pillows, the pads come with a three-year warranty. From classic and waffle to heathered and Turkish styles, Parachute offers lots of style and texture choices when it comes to towels. They’re all made of 100% Turkish cotton, and they’re soft and absorbent. Some are plush, while others are lightweight and quick-drying. The rugs and mats you can find from Parachute for your bathroom match the towels almost perfectly. Some have tassels, while others have a tight-knit weave. The looped bath rug is soft and soaks up water and suds easily. Every home has a couple of throws tucked away or tossed atop a chair or couch somewhere. Parachute’s throws are soft and cozy, but you get your choice of material, and therefore your choice in level of luxury. The cotton throw is soft and affordable, and it comes in three colors. The linen throw is a good choice for a warmer climate, as it’s lightweight. Then there’s a wool and cashmere blend, which is much warmer and soft. And then for the ultimate in softness and luxury, there’s the 100% cashmere throw. Luxury linens have finally become more mainstream by going online. In addition to being more accessible, companies like Brooklinen and Parachute have made luxury more affordable. When you compare the two, though, who comes out on top? Here we compare what made the two companies famous: sheets. Just like percale and sateen, Brooklinen and Parachute have their pros and cons. 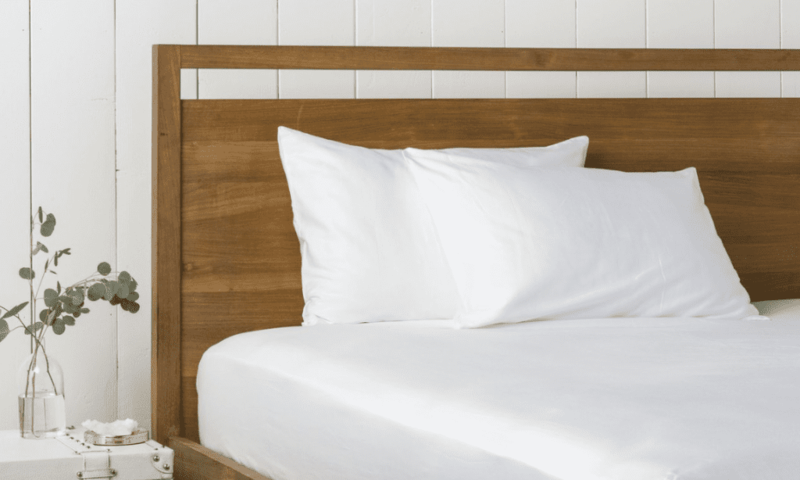 Whether you prefer Egyptian cotton, a lower price, flat sheet, deeper pockets in a fitted sheet, or a warranty, one of these companies will likely have the features and options you want. Here’s a side note about these two companies and their products you should be aware of before you make a purchase. Both companies put quality, health, and sustainability equally high on their priority lists. That’s why your sheets are going to wrinkle. These are cotton sheets that have not been treated with formaldehyde, silicone, or any other product to make them wrinkle-resistant. You will need to follow the care instructions carefully to ensure your linens are long-lasting. Dyed cotton is likely to fade over time, as is the sheen on a sateen sheet. You’re buying natural fabrics, and these things are to be expected. Finally, you’ve reached the consensus. You may have already made up your mind after reading this comparison, but there is an overall winner here. The best company for your bedding is Brooklinen. The company offers high-quality products at competitive prices. It has the needed certifications to prove that its products are all-natural and not chemically treated. Additionally, the company has not branched out too far from its roots, which means you can expect excellent products that’s backed by expertise in the linens the company sells. Brooklinen also has fantastic customer support, both in terms of reaching out to customers and fulfilling returns, requests, and refunds. The company also stands firmly behind its product by offering a lifetime warranty. 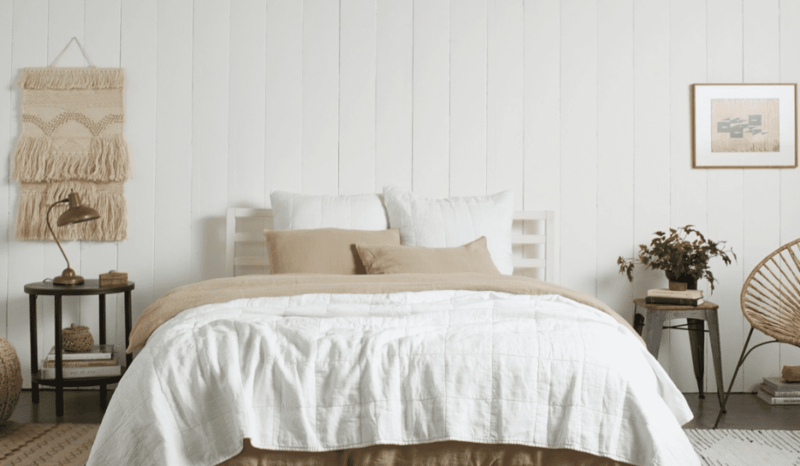 Should you ever feel as though the sheets are not lasting as long as you think they should, Brooklinen invites you to return the sheets for a replacement.